The Si Performer, Expression and Compact range of consoles feature a versatile 128 channel expansion bus offering 64 discrete additional input sources and 64 additional output patches that may be used to transport audio to and from a supported network, for connection to a Soundcraft stagebox or other third-party devices. By adding option cards to the Si range of digital consoles, you can interface your desk with a multitude of analogue and digital systems, whilst expanding I/O count beyond that of the standard console configuration. Routing to and from the option cards is achieved via the 'Patching' functionality on the console. Further cards are always in development and will provide various solutions for interfacing onto emerging networks or devices. 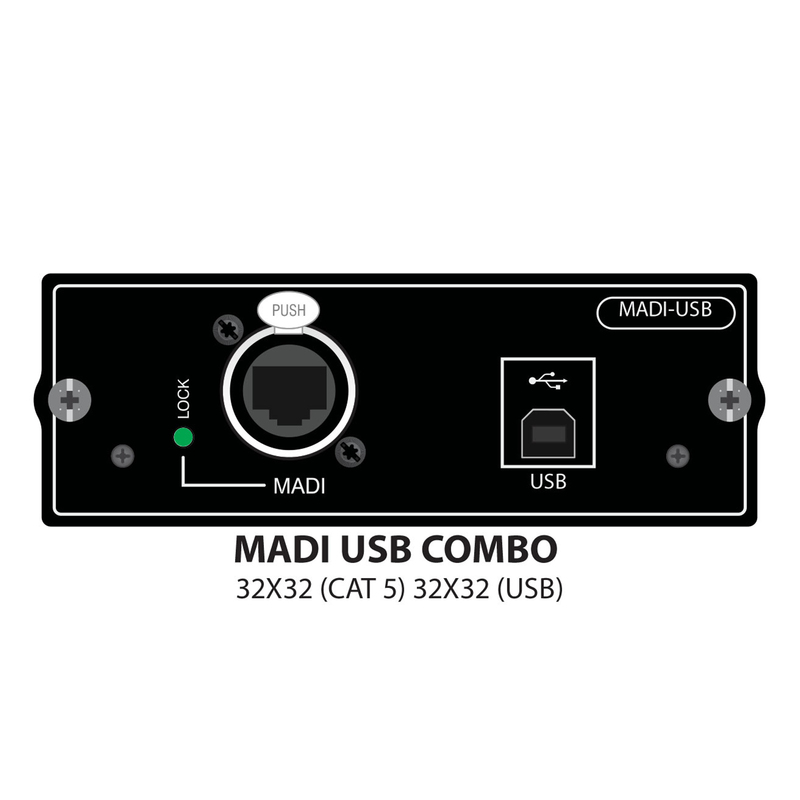 The Soundcraft® MADI-USB Combo card offers digital audio connection between an Si series console and Apple®Mac® or PC with a USB port as well as any of the Soundcraft range of Stageboxes via Soundcraft’s proprietary Cat 5 MADI connection. * PC Compatibility: the Soundcraft MADI-USB Card supports Windows 7, Windows 8 and Windows 10. * Mac Compatibility: the Soundcraft MADI-USB Card supports Mac OS 10.7.x Lion through to 10.11.x El Capitan.